Large format printing using high resolution inkjet printers for both the indoor exhibitions market and outdoor signage requirements, RGL Displays prints and delivers large format printing solutions all over the UK, Ireland and to most parts of Europe. Over 27 years experience in high quality print and wide format printing and graphics. Large format printing has evolved over the years with dramatic improvements to both quality and speed. 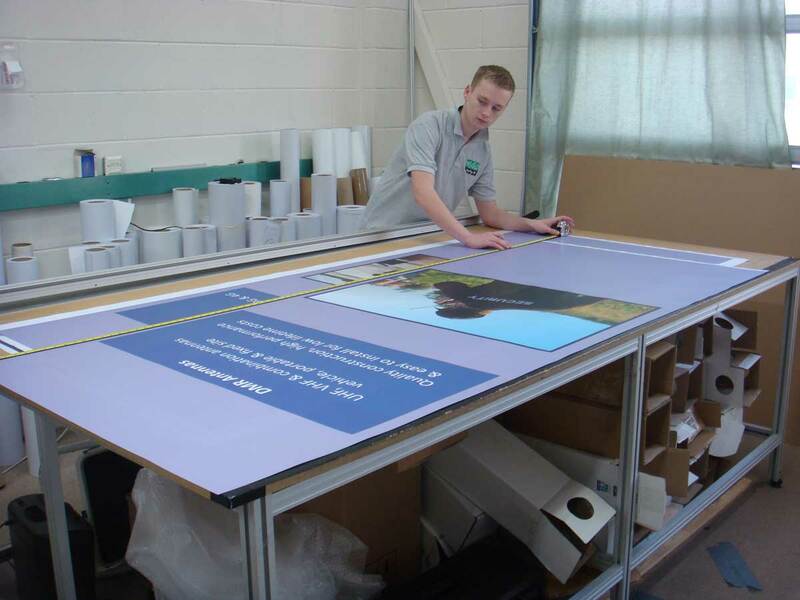 Having invested in the latest wide format printing technology RGL Displays are well equipped to produce outstanding results and are constantly checking quality of product and service to ensure that you’ll never be disappointed by our very high standards. Although the vast majority of our work is supplied to end users, design agencies and marketing companies, we also offer trade printing for both indoor and outdoor large format printing and can be relied upon to provide excellent quality print with complete client confidentiality. Our printing knowledge is vast and we pride ourselves on quality of both product and service at all times. We also understand and appreciate the importance of good client relationships and the repeat business that this brings. 4 wide format print machines in house. Suppliers to some of the UK’s biggest companies. Delivering to UK, Ireland and Europe. Print for exhibitions and displays. Outdoor printing, banners & graphics. Large format trade printing available. Fast & reliable, friendly service.